Haaland, a Democrat, was one of two Native American women to be elected to the U.S. House of Representatives in the country's midterm elections on Tuesday. 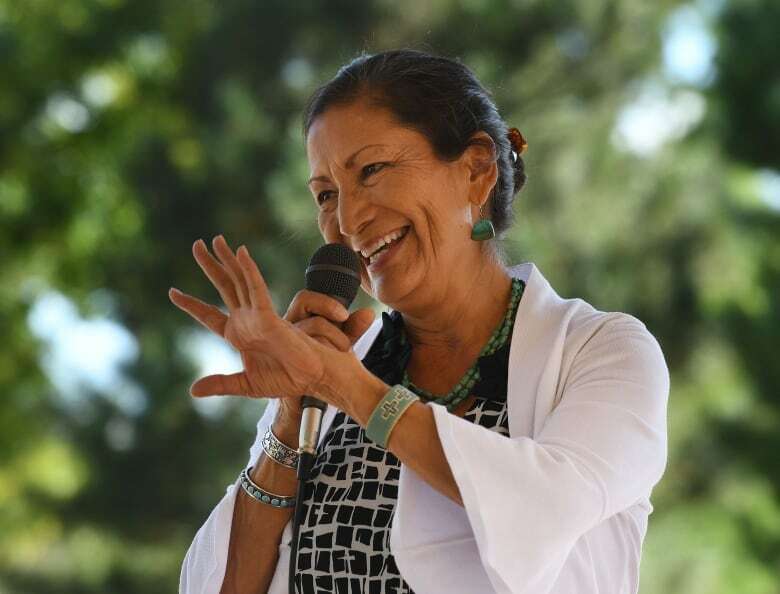 Deb Haaland was one of two Indigenous women to be elected to the U.S. House of Representatives on Tuesday, and she says she can't be happier with the historic win. Joining Haaland as another Native American woman elected to Congress was fellow Democrat Sharice Davids, a former mixed-martial arts fighter and Cornell graduate. As a newcomer to the House, Davids will represent Kansas' third district after defeating incumbent Rep. Kevin Yoder. A record number of women were elected to the House this midterm election. Haaland spoke with CBC North's Trail's End host Lawrence Nayally on Friday about her victory. Q: I'd like to congratulate you on your victory. How does it feel? It feels great. It's always really great when your hard work pays off. I had some amazing volunteers who worked extremely hard on my campaign. I just can't be happier for all of the work we were able to accomplish. Q: What does it mean to you to have a seat in the U.S. congress? It's taken over 240 years for there to be a Native American woman elected to congress, so it's definitely significant that we were able to accomplish that. Being a member of congress comes with a tremendous amount of responsibility, regardless. However, I realize that for Indian tribes to have two members of Congress now that they can speak with and talk about issues to, I take that role very seriously. Q: What do you think it means to Indigenous peoples and their rights to have you in congress? Tribal leaders across the country, I'm sure, will be happy to have folks in there who understand the issues. 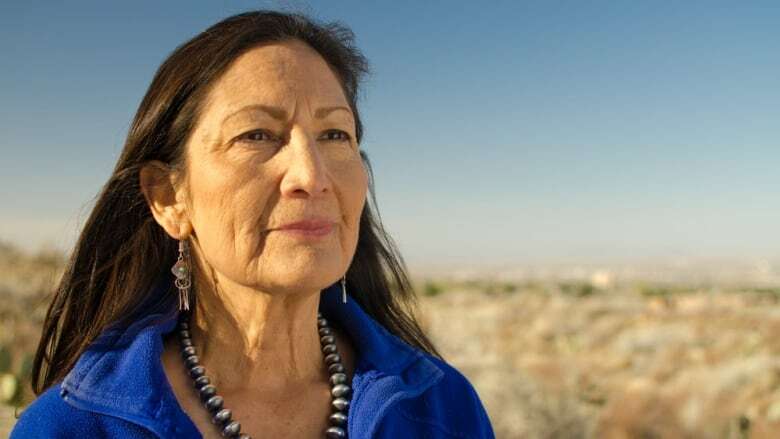 Additionally I think that for perhaps other Native women who have thought about running for office and maybe haven't done it, they now will be encouraged and think about running. Q: American politics can seem racially divisive. What was your experience like in this campaign as a Native American woman? I have been working in New Mexico politics for a number of years, probably for about close to 20 years. I have a lot of large networking capability, and I've run a statewide campaign once before. I was a chairwoman of my state democratic party. 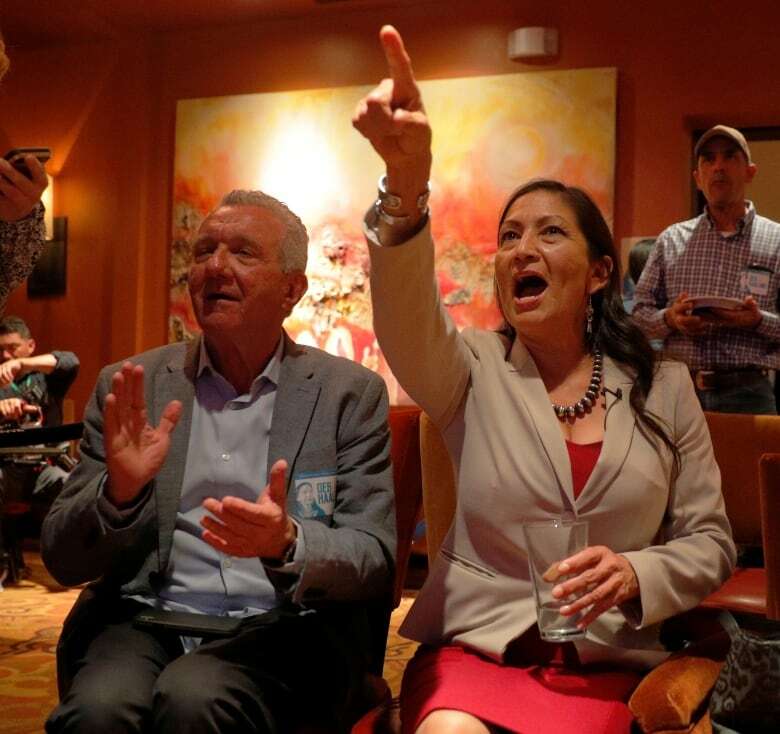 Haaland reacts upon learning that fellow Native American Sharice Davids of Kansas also won her midterm election, in Albuquerque, New Mexico, U.S., on Nov. 6. I've worked really hard for a long time, and I was fortunate that when I decided to run for this office, that there were a number of people who I had helped previously who were ready to help me this time around. So I was grateful I found the support I needed. Q: Can you tell me a bit about your path to politics? I understand it wasn't necessarily straightforward. I actually started off as a phone volunteer. It turned into be me organizing Indian Country Today [a non-profit daily digital news organization] because I really just wanted more Native Americans to get out and vote. I eventually did a Democratic women's political leadership training program called Emerge New Mexico. Q: What's one of the first things you want to tackle in your new role? In my campaign, I ran on climate change. And I've been very passionate about missing and murdered Native women. I intend on moving on that as well. Q: Any advice for young Indigenous women looking toward becoming leaders in the future? I want every young Indigenous girl to think about getting involved in their communities. You're never too young to help with community efforts. I'd like to see more Native girls run for class president, student council president. I'd like for them to see themselves in leadership roles because they can certainly do it.